The jamstik+ is a digital guitar that works wirelessly (Bluetooth) with your devices and our apps to finally teach you how to play guitar. It comes with an interactive guitar lesson app series and works with a multitude of other music apps, so everyone from beginners to pros can just play. 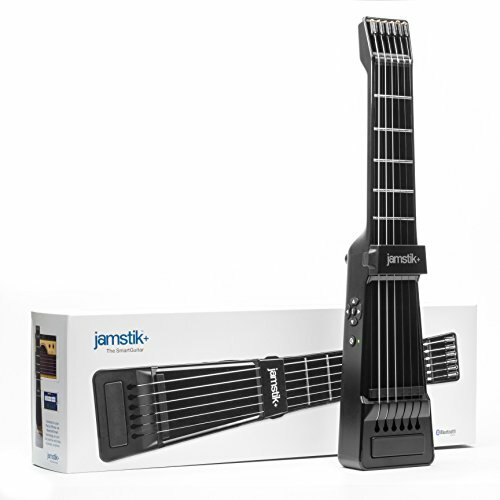 The jamstik+ comes with: 4 free apps, a guitar strap, 2 guitar picks and a rechargeable battery. If you have any questions about this product by Zivix, contact us by completing and submitting the form below. If you are looking for a specif part number, please include it with your message.